Hundreds of veterans plan to "deploy" to Standing Rock Indian Reservation in North Dakota. CANNON BALL, N.D. -- U.S. Army Corps of Engineers said Sunday that it won't grant an easement for the Dakota Access oil pipeline in southern North Dakota. The decision is a victory for the several thousand camped near the construction site, who've said for months that the four-state, $3.8 billion project would threaten a water source and cultural sites. The pipeline is largely complete except for the now-blocked segment underneath Lake Oahe, a Missouri River reservoir. According to a news release, Assistant Secretary for Civil Works Jo-Ellen Darcy said her decision was based on the need to "explore alternate routes" for the pipeline's crossing. The company constructing the pipeline, Dallas-based Energy Transfer Partners, had said it was unwilling to reroute the project. It and the Morton County Sheriff's Office, which has done much of the policing of the protests, didn't have immediate comment. For Native American activists, Thanksgiving brings back difficult memories. U.S. Secretary for the Interior Sally Jewell said in a statement that the Corps' "thoughtful approach ... ensures that there will be an in-depth evaluation of alternative routes for the pipeline and a closer look at potential impacts" and "underscores that tribal rights reserved in treaties and federal law, as well as Nation-to-Nation consultation with tribal leaders, are essential components of the analysis to be undertaken in the environmental impact statement going forward." The federal government has ordered people to leave the main encampment, which is on Army Corps of Engineers' land, by Monday. But demonstrators say they're prepared to stay, and authorities say they won't forcibly remove them. Why Are All My Facebook friends checking in to North Dakota? Why are all my Facebook friends in North Dakota? 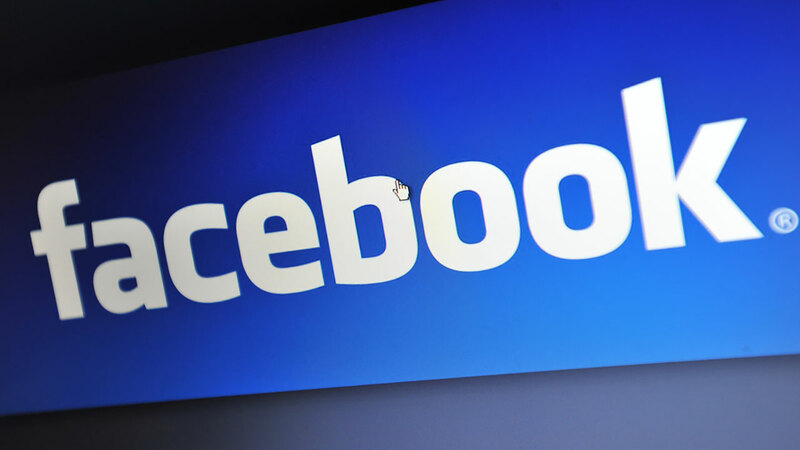 As of Monday, Facebook users are checking in en masse to Standing Rock, North Dakota. Find out why. About 250 veterans gathered about a mile from the Oceti Sakowin, or Seven Council Fires, camp in southern North Dakota for a meeting with organizer Wes Clark Jr., the son of former Democratic presidential candidate Gen. Wesley Clark. The group had said about 2,000 veterans were coming, but it wasn't clear how many actually arrived. "We have been asked by the elders not to do direct action," Wes Clark Jr. said. He then talked about North Dakota authorities' decision to move away from a key bridge north of the encampment by 4 p.m. Sunday if demonstrators agree to certain conditions, saying the National Guard and law enforcement have armored vehicles and are armed. Authorities said they'll move from the north end of the Backwater Bridge if protesters stay south of it and come to the bridge only if there is a prearranged meeting. Authorities also asked protesters not to remove barriers on the bridge, which they have said was damaged in the late October conflict that led to several people being hurt, including a serious arm injury. 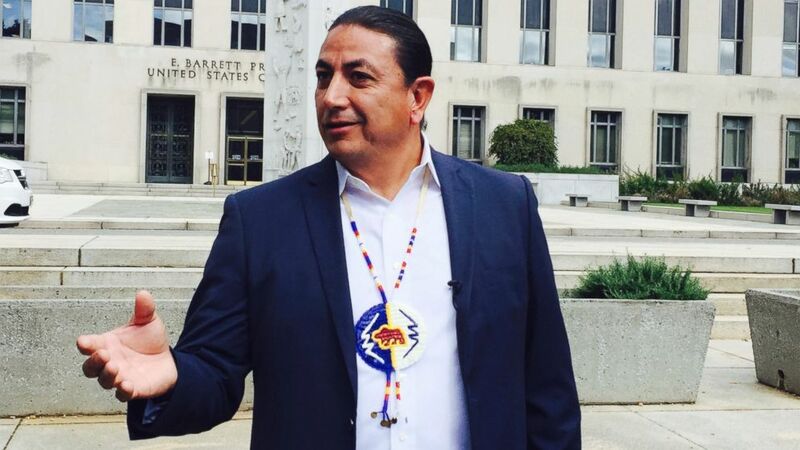 A federal appeals court Sunday night denied a Native American tribe's request for an injunction to block construction of a four-state crude oil pipeline. "The question was asked if we would consider pulling back from the Backwater Bridge," Cass County Sheriff Paul Laney said in a Saturday news release after a conversation between law enforcement and the group's organizers, "and the answer is yes! We want this to de-escalate." The bridge blockade is something that Standing Rock Sioux tribal chairman Dave Archambault has been asking to be removed, the Bismarck Tribune reports , and something he said he would to talk to Gov. Jack Dalrymple about when they meet in person. A date for that meeting hasn't been set. Veterans Stand for Standing Rock's GoFundMe.com page had raised more than $1 million of its $1.2 million goal by Sunday - money due to go toward food, transportation and supplies. Cars waiting to get into the camp Sunday afternoon were backed up for more than a half-mile. On Monday, some veterans will take part in a prayer ceremony in which they'll apologize for historical detrimental conduct by the military toward Native Americans and ask for forgiveness, Clark said. He also called the veterans' presence "about right and wrong and peace and love."